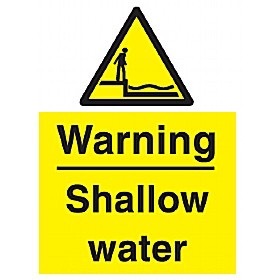 How shallow a friend (parent, spouse or business partner) are you? I am blessed with a lot of awesome friends. Sure they are awesome because I know they’ll be there for me in a pinch night or day. And they are awesome because they like me, I like them, and we have fun together. But those aren’t the only things that make them awesome friends. They are also awesome friends because they tell me the ugly truth. They are also awesome friends because they don’t drop me like a bad habit when I tell them the ugly truth. They are awesome because when we happen to disagree on something, I can rest assured knowing that our history together is not null and void. It counts for something. We have credibility with each other. Emotional deposits have been made such that an occasional withdrawal doesn’t derail the entire relationship. Some time ago, my young adult daughter posted a comment on Facebook which was completely appropriate (in mom’s book of social networking etiquette). She simply stated an opinion on a hot topic in today’s culture as it relates to domestic abuse. Suddenly without any warning, a mutual friend of ours (much older adult woman) zeroed in for the kill. She shot back with several zingers one after the other seemingly in retribution of Shelby’s perfectly appropriate and compassionate (not merely passionate) post. Whether I agreed with my daughter’s views on the matter or not, her post was fine. In fact, it was pretty benign. Even so, Shelby’s post and my attempts to be peacemaker were met with undiluted wrath by this person who we thought was a really good friend. So our “friend,” UNfriended both of us on Facebook. Sure this happens a lot. I know that. But among acquaintances with whom you have no personal history, who the heck cares? On the other hand, when you find yourself unfriended by a person with whom you have a pretty strong relational history, it’s disturbing. Social networking (and the internet) was non-existent when I was growing up. I was truly an adult in my 40s before it hit our world like a tornado. It’s a blessing and a curse. We have friends all over the world. What an awesome privilege it is to be able to keep up with their family adventures, jobs, kids, activities with just a few keyboard clicks. It’s completely impersonal. But as long as it is understood that it is truly completely impersonal, then no problem. When we make it personal, substituting electronic exchanges for real and necessary conversations, that is reckless. Unfortunately, social networking, especially (seemingly) with the 35 and under crowd, can have a hypnotic effect on them. 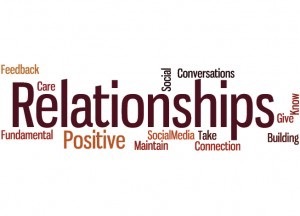 Hours are spent surfing social networking rather than cultivating real relationships in person. And sadly, ridiculously, the number of likes they have on an Instagram post dictates their level of self confidence and what they believe about themselves. But another thing can happen too. People (such as our adult friend) can use social networks as a weapon. If you don’t say something I like, you’re off my friend list. This begs the question: “So if we come into your town, we shouldn’t call you for dinner? If you come into our town, will you not be staying with us? The once relationship we had with shared interests and shared experiences, those don’t matter anymore? Remember the time we kept your kiddos and loved on them so you could take care of important business? That’s now meaningless? The times we had a laugh together or a coffee with an enjoyable exchange of dialogue, that’s also meaningless?” I have to assume so. Because social networking has contributed to a pandora of shallow relationships. When you use social networking to mask your true feelings, OR when you blurt out your feelings about others unfiltered for everyone’s scrutiny, things that are none of their business, OR when you discard true friends like Saturday night’s leftovers because they posted ONE thing that irritated you-that’s shallow. Most in ground pools have a water fill line. It’s rarely recommended to let your water levels run much below that fill line. It’s just not safe. And it’s also not fun. Do that, and your swimming pool suddenly becomes a wading pool. Our relationships are like that. If your relational efforts never rise above the the fill line of the relationship pool, you might just be a shallow relationship partner. If you shut down communication with a friend or a daughter or a son or a husband who really needs you, but you just don’t have time for that kind of investment, or if you hide behind the seemingly impenetrable wall of your social networking profiles, and fire off posts (good or bad) like bumper stickers on a car, then you might be a shallow partner in your relationships, not holding up your end of being the real deal. Also if your life is all about you and what you want, but rarely about what others want (your friend, your child, your spouse), then you might not be holding up your end in those relationships either. In the bible, the book of Daniel chapter 3 tells a beautiful story of 3 teenage Jewish boys who dared take a stand with the King of Babylon in whom they were in servitude. They refused to bow down and worship his golden statute. Of course the king threatened to throw them into a fiery furnace, so that they might burn alive. Their response is incredible. “King Nebuchenzzer, We believe the our God can save us, but even if he does not, we will now bow down to your gods.” Wow! The measure of our faith is not in our responses to what God can do, but rather the true measure of our faith is in our responses to what God does not do!” These three young boys had their heads wrapped around that. They were anything but shallow. They were there for each other no matter the circumstances. They trusted in their past together to carry them through their future together. Whatever that may be. Their trust in God was equally not shallow. Had they only believe that God was omnipotent if he chose to save them from the fiery furnace, this would have been very shallow of them. Their faith would’ve been childish, without depth or maturity. But they believed in God and His power in every circumstance. They believed God was the God of the universe even if He did not choose to spare them from the King’s wrath. Is someone you know and care for reaching out, but you are not reaching back? It may be on either a professional or personal level. Are you struggling to get the water level in your relationships up to the fill line? You better run the hose a little bit longer. Have you tossed a significant someone along the wayside of your life quicker than you can say “Jack Sprat,” simply because they voiced a different opinion from you? Do you put all of your interests and wants ahead of the people in your life who need you to prioritize their interests even if they are not yours? Have you long since scrapped the idea of a personal God, Creator, who cares for you because He wasn’t there to stop _______ from happening? (fill in the blank) Shallow. Shallow. Shallow. Give yourself a break and start forgiving where forgiveness can build a bridge for you to cross over from bitterness to joy. Give yourself a break and love your friends and family who admittedly don’t always have it together, but yet deserve a second chance, where your relationship history demands it. Depth is the opposite of shallow. How deeply are you rooted in your relationships with your true friends, your child or your spouse? Or are you only “wading” in water that is up to your ankles because you have neither the time or the inclination to do anything differently?